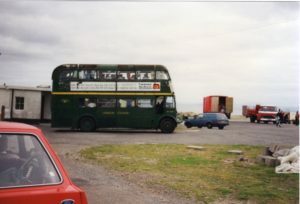 Colour photograph of a green double-decker bus at the pier-head car park in around 1975. 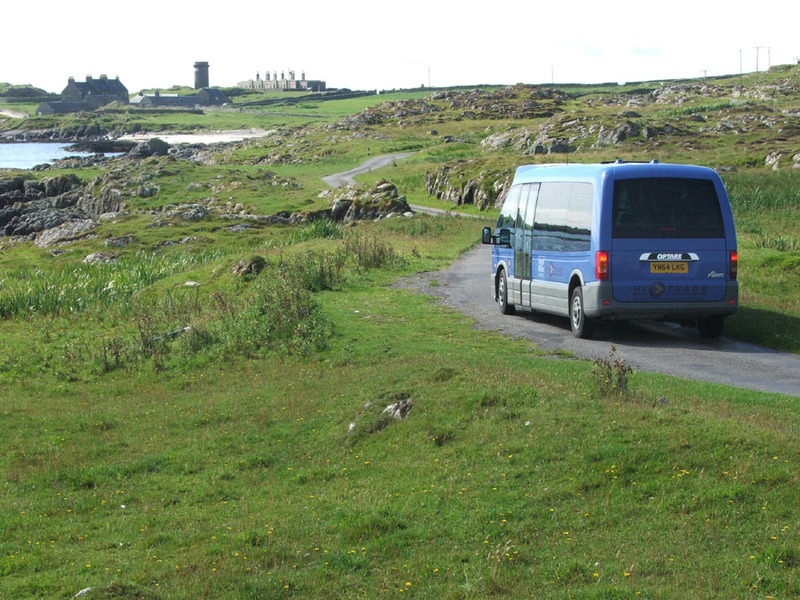 On the side of the bus are the words ‘London Country’, plus a long Caledonian MacBrayne banner printed with the names of many west-coast islands including Tiree, and there are several items of laundry hanging in the windows suggesting that this is a long-distance tour bus. The old ticket office is visible on the left, and note the lack of buildings in the background on the right. Colour photograph of driver Angus MacKechnie helping a passenger with her shopping onto the Ring & Ride bus outside the Coop in Scarinish around 2000. 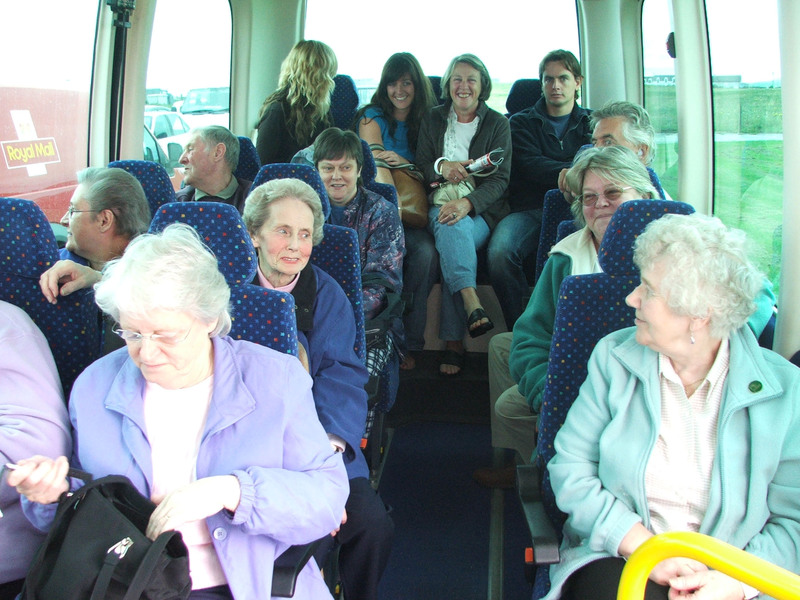 Colour photograph of passengers on the Ring & Ride bus around 2000. 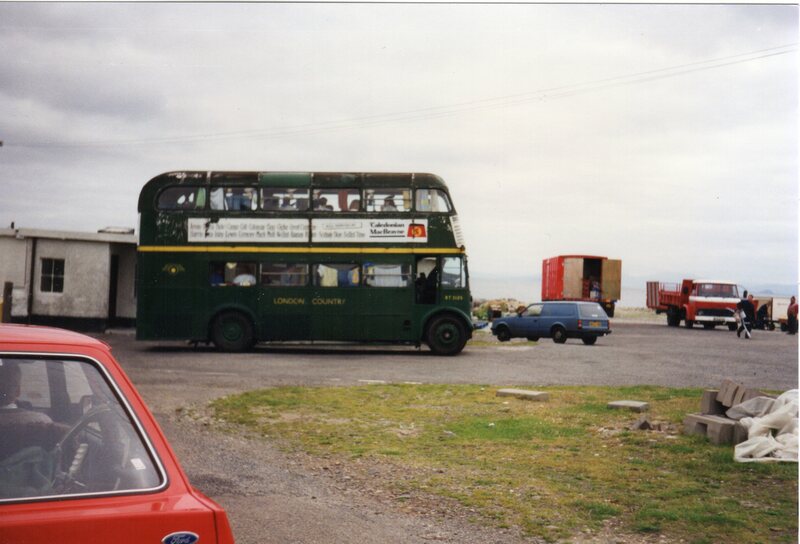 Colour photograph of the Ring & Ride bus travelling towards Hynish around 2000. 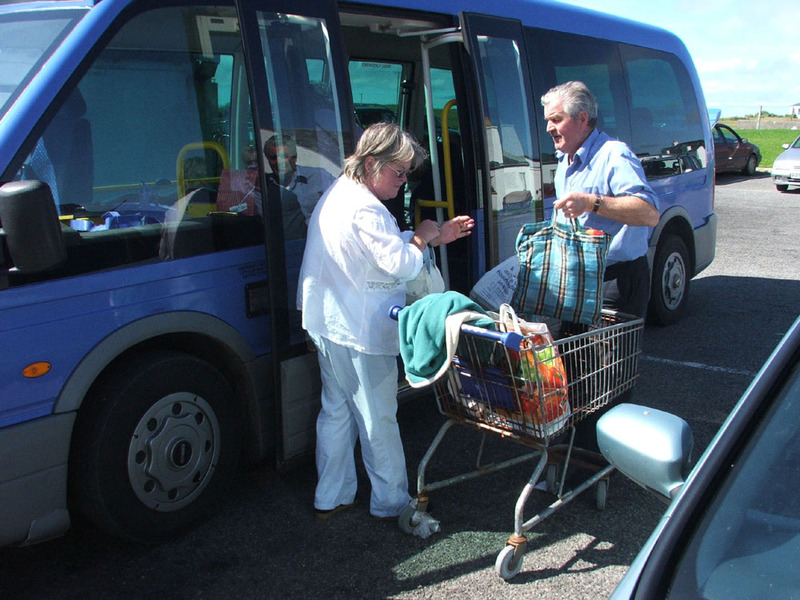 CD collection of 39 colour photographs from a journey of the Ring & Ride bus through Scarinish, Crossapol and Hynish, stopping at the Coop to take folk shopping, and at the airport to pick up passengers. 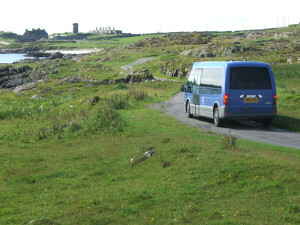 Taken by Brian Milne, Scarinish, around 2000.